Bank of America says customers who received $100 bills instead of $10 bills at a Houston-area ATM can keep the extra cash. "This was an incident at a single ATM in Houston caused when a vendor incorrectly loaded $100 bills in place of $10 bills. We have resolved the matter. Customers will be able to keep the additional money dispensed," Bank of America said in a statement Monday. 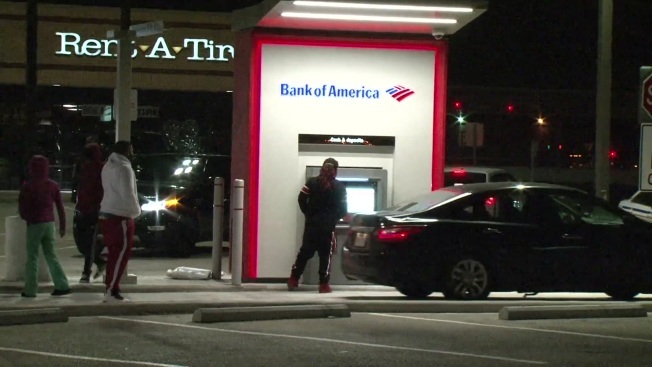 Harris County Sheriff's officials said deputies noticed a number of people crowded around an ATM, stopped to investigate and learned $100 bills were wrongly being dispensed. Other law enforcement personnel also noticed a posting online about an errant ATM and the ATM was shut down and guarded while the bank was notified. The original report from The Associated Press said the customers received $100 bills instead of $20 bills. The statement from the bank clarified the incident.